Everyone who participates in softball is entitled to do so in a fun, enjoyable and safe environment. These principles apply to all participants, but young people in particular are entitled to a higher duty of care. 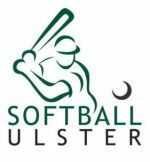 These requirements are minimum standards to be followed by all Softball Ireland – affiliated teams, whether competing in local leagues, in tournaments or internationally. Teams, leagues and tournaments can introduce additional requirements governing the participation of young players on adult teams as they see fit. A young player is defined as a player younger than 18 years of age and at least 14 years of age at the time of taking the field. 1) Each team shall appoint a Welfare Officer who will ensure that the appropriate welfare procedures and checks are followed and that there is a process in place to assess whether the young player is competent to play at which the team is competing. 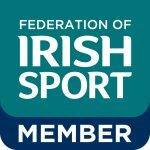 2) Each player who is under 18 shall be assessed for this purpose by regionally nominated representatives or appointed Softball Ireland national team coaches. ii. Softball skills and ability. 4) A brief record of the player’s name, date of the assessment, competency for all or specified positions and any observations or comments shall be made in writing to the Regional Council. 5) The young person’s parent or guardian shall complete a Permission to Play form in all cases where the young person is competing with an adult team or taking part in an adult game. If a parent / guardian is unfamiliar with softball, a club representative shall explain the risks of the sport to them. The completed form shall be retained by the Team Captain and copy sent to the Regional Secretary. 6) The team shall arrange regular training and coaching sessions which young players should attend in order to progress their softball development and skills. 7) Young players shall wear a helmet and face guard when batting and base running in. All players under 18 who are coaching, umpiring or acting as batboys or batgirls shall wear a helmet when on the field. 8) Young players shall wear a gum shield if playing in the infield. 9) Young players must wear a catcher’s mask if playing that position in slowpitch softball. 10) Young players shall wear appropriate sports footwear. 11) The Team Coach or Captain shall review a young player’s competence to continue playing should game conditions change – for example, due to adverse weather, a change in the level of play or the conduct or aggressiveness of the opposing team. 12) If an Umpire is unsure about the competence of a young player, he or she shall make his concerns known to the Team Captain.